I love this thing! 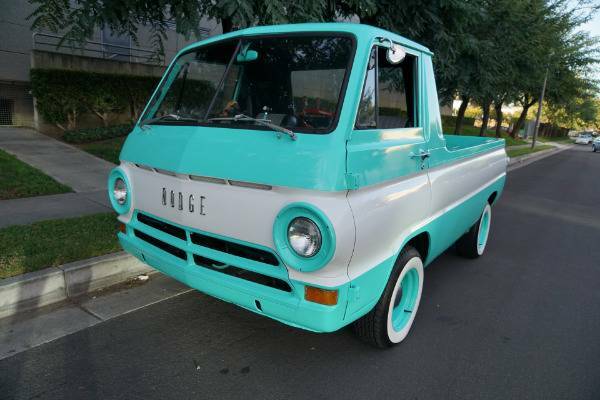 There is something about these Dodge A100 pickups and Ford Econoline pickups that just really makes people smile. These trucks are part van, part truck, and all cool. If this one were mine I would lower it a lot, but other than that this thing is cool as hell. Can you imagine having this as your around town utility vehicle? There are all kinds of reasons why these are good, one of them being the fact that they only haul two people so you get to choose just one special someone to ride around with you instead of everyone in the house. For me, that special someone would be Otis the shop dog. I think he’d dig it. And this one is more than just skin deep. 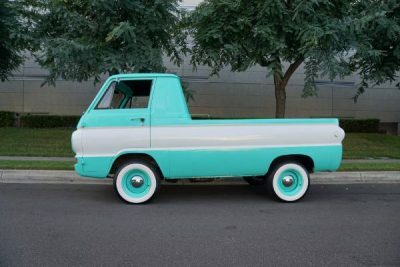 This truck is a true survivor and a super striking daily driver or unique promotional truck! 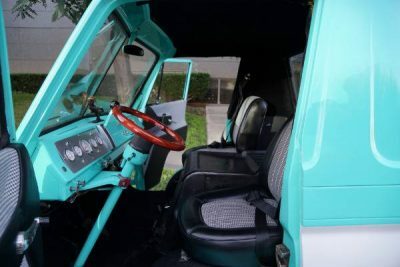 The truck has recently come out of storage and is quite striking and beautifully presented in ‘Teal Blue over White’ two-tone paint with a ‘Black Houndstooth’ interior! 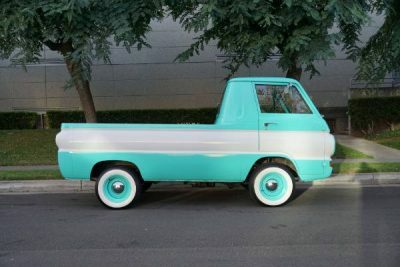 This is an unusal and very striking promotional Pick Up which is turn key ready. 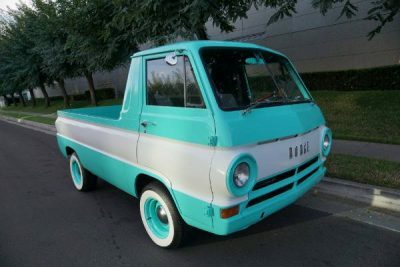 The A100 is a range of compact trucks and vans manufactured and marketed from 1964 to 1970 by Chrysler under the Dodge marque in the United States. 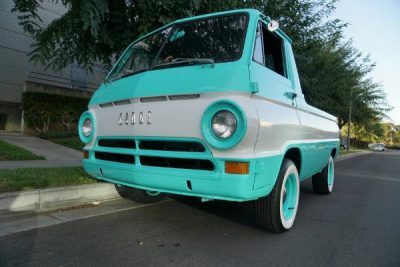 The A100 competed with the Ford Econoline and the Chevy van and Chevy Corvair Greenbrier, as well as the VW Type 2. 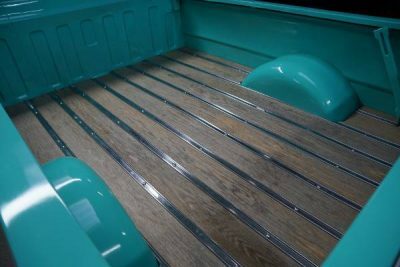 The range included both a pick up truck and a van, both with a ‘forward control’ design. Placing the driver on top of the front axle with the engine near the front wheels is called a ‘cab over’ vehicle. The nose was flat, with the engine placed between the driver and passenger, who sat above the front axle. The unibody vehicles used a short, 90 in (2,300 mm) wheelbase. An A108 was also available from 1967 to 1970, with a longer 108 in (2,700 mm) wheelbase. The A108 was popular with camper conversion companies. 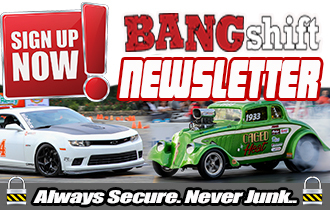 A substantially modified, Hemi powered A100 wheelstanding exhibition pickup called the ‘Little Red Wagon’ driven by Bill ‘Maverick’ Golden was a popular drag strip attraction from the 1960s to the early 2000. It was the first wheelstanding truck and was the world’s fastest truck at that time and this particular truck (although not Red obviously!) 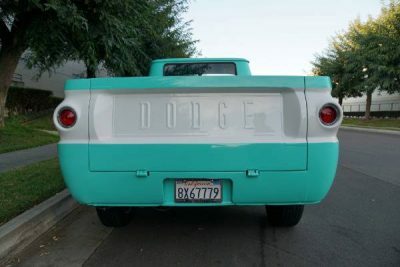 was obviously inspired by this original Hemi creation. 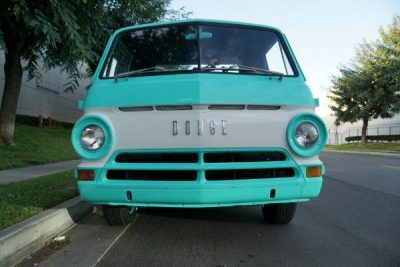 The original truck toured extensively throughout the United States and was used in television commercials for Dodge trucks. The Little Red Wagon had debuted in the 1965 season opener at the Lions Drag Strip in Wilmington, CA in front of 10,000 fans and reporters from major newspapers and automotive publications. The vehicle suffered wrecks in 1969, 1971, and 1975. In 2009, the replacement Little Red Wagon from 1975 was sold at RM Auctions Icons of Speed and Style Auction. The vehicle was expected to fetch $300,000; it was instead the auction’s top seller at $550,000. 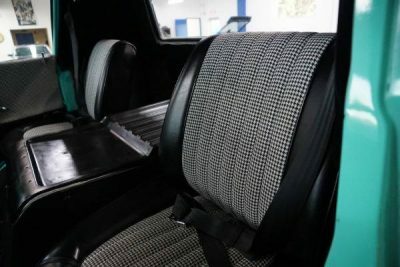 The 5.7 L Hemi installed in this particular example was released for model year 2003 on the Dodge Ram 1500, 2500, and 3500 pickup trucks to complement the Magnum 5.9 engine. Chrysler later made the 5.7 L Hemi available in all models of the 2004 Dodge Ram, Durango, the 2005 Chrysler 300C, Dodge Magnum RT, the 2006 Dodge Charger R/T, and the 2009 Dodge Challenger R/T. The Hemi was on the Ward’s 10 best engine list for 2003 through 2007, and again in 2009. 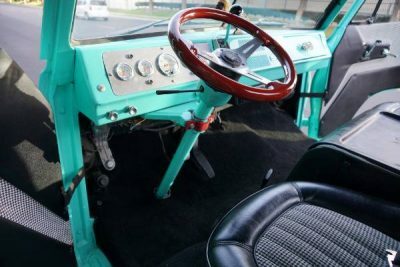 In summary this is a very rare opportunity to own a unique and restored example of a very desirable and rare custom all American early 60’s iconic Pick Up ready for any classic American truck, collector or enthusiast to enjoy or show today! That is awesome, but I wouldn’t even drive it home on that wheel and tire combo lol. Enclosed trailer to the tire shop! Funny that’s the same color combo I painted my daughters room just a few months ago. After it was finished I thought it might go well on a car. Now I’m not so sure, but I’m sure she’d think this thing was pretty. 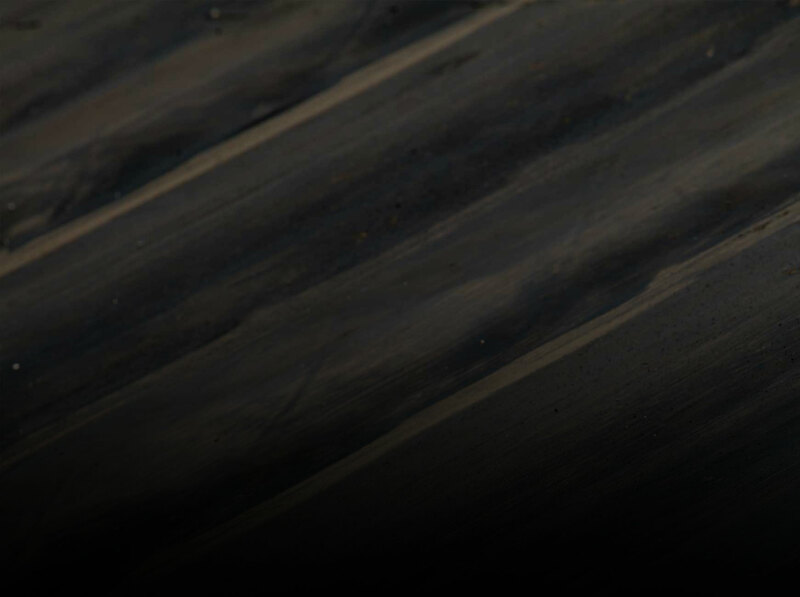 Wheels need to be changed at the very least. The guy who built this must be thinking that’s the last time I’ll let Stevie Wonder pick colours for my rod…………..
Just needs a set of Cragar SS’s. Lower it a couple inches, re-chrome the headlight rings, and add some chrome “nerf” bars to where the front bumper brackets were and call it good. 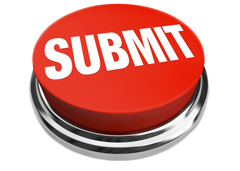 Survey results showed that more than 60 percent of respondents use sites for dating. But how to choose the safest one? On our site, you will find local hookups that are available in the vicinity. But most importantly, we guarantee your safety.